Successfully Added Qi Wireless Charger - Output Voltage 5V, WPC Qi 1.1.2 Compliant, LED Charging Light to your Shopping Cart. With over 900 products now using Qi charging its rapidly becoming a leading technology in Smartphone’s and other portable electronic devices. It offers a quick wireless means to recharge you electronics without the problem of tangled cables or finding the correct charging connector. Qi Charging is the main wireless charging protocol using magnetic resonance, and was established by Wireless Power Consortium. Since 2011 the number of Smartphone’s using the Qi technology has grown and it is now a major feature on flagship devices from manufactures such as Samsung, Nexus, Nokia, Moto, LG, HTC and many others. The magnetic resonance charging of Qi reduces the need to keep plugging in and removing cables so reduces wear and tear on your device. It will save you countless time over the life of your phone and as there are no cables you will have no delays letting you pick up the phone whenever you like to take a call or head out. 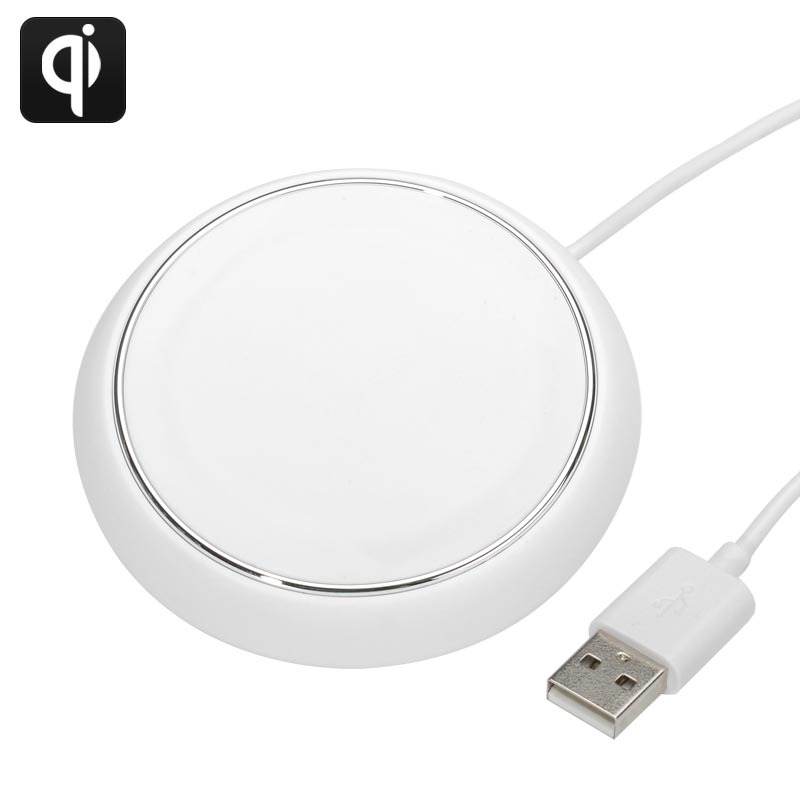 This Qi Wireless Charging Dock comes with 12 months warranty, brought to you by the leader in electronic devices as well as wholesale Qi wireless chargers..